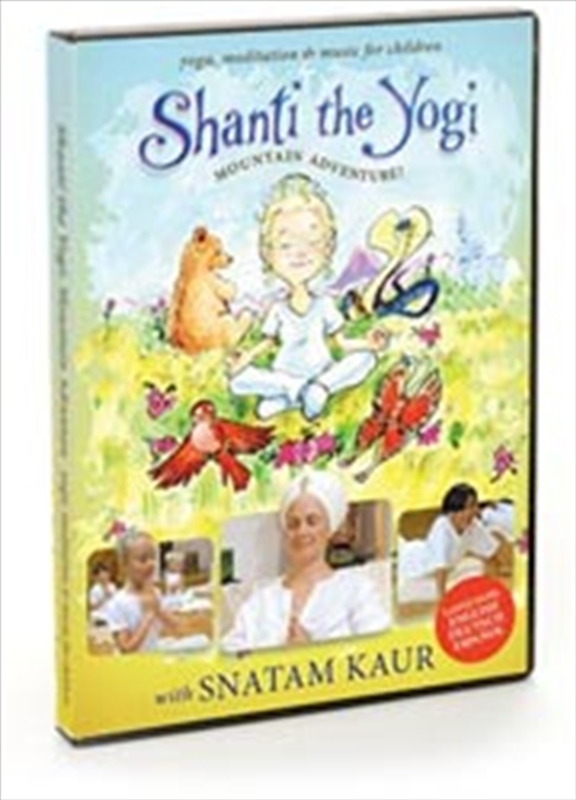 In this beautifully filmed and illustrated DVD, Snatam Kaur takes children on a mountain adventure with Shanti the Yogi. They will have a positive experience of yoga, mantras in motion, music and play. As children enter Shanti`s world through the beautifully presented story-telling and illustration, they are also guided through yoga and movement by Snatam Kaur in a children`s yoga class setting. The joy-filled music that the children sing with Snatam Kaur was made specifically to accompany the yoga, story, and mantras in motion on this DVD. Snatam Kaur spent years sharing her unique musical yoga story-telling with children around the world and has finally captured it on film for children to take home with them. This is a children`s yoga adventure that parents are sure to love too!